"To be honest with you, I don't have many answers. I've got a bunch of questions," Matty Healy says. 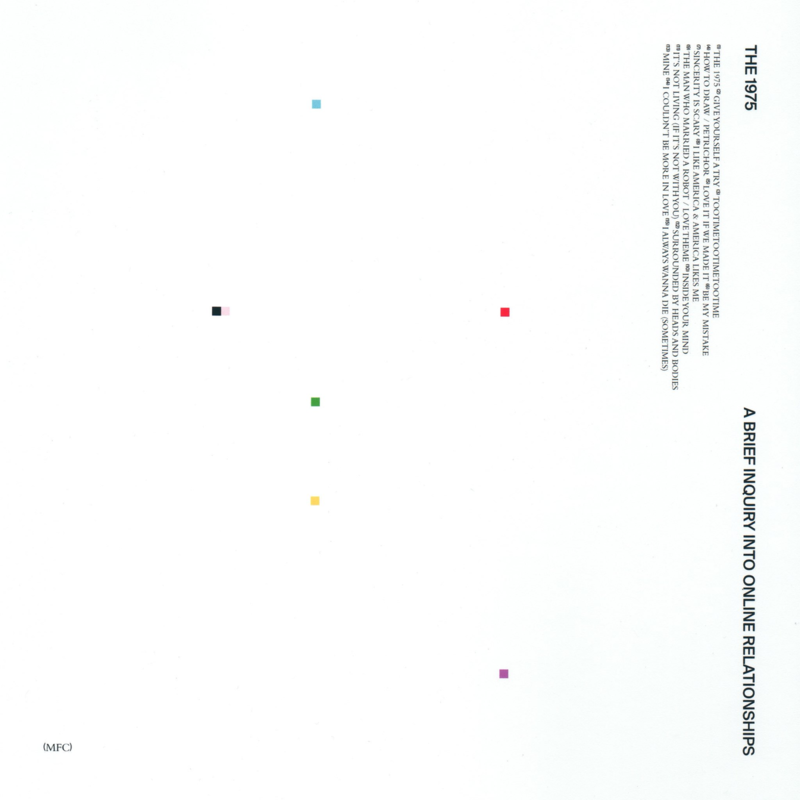 The 1975's A Brief Inquiry into Online Relationships is out Nov. 30 via Polydor. Matty Healy has long treated writing songs for The 1975 as his diary. As frontman for the Manchester band, Healy's approach to music has been full of conviction, transparency and a millennial wink. The band's latest album is no exception. A Brief Inquiry into Online Relationships, out Nov. 30, builds on the Brexit and Trump-fueled rage and fascination with modern relationships presented in The 1975's first two albums, but Healy's recent experience with heroin addiction and rehab are the true focal point of the LP. The 29-year-old musician maintains a tight-knit relationship with The 1975's fanbase — some of those fan interactions inspired the album's theme of digital communication. And while the band's past songs heavily reference drug use, A Brief Inquiry marks a definitive shift towards an honest dialogue about Healy making his way out of addiction. Some of the album's material was inspired by Healy's seven weeks in a rehab center in Barbados after touring The 1975's 2016 album, I like it when you sleep, for you are so beautiful yet so unaware of it. Healy has previously said that The 1975 would only put out three albums with A Brief Inquiry serving as its third. But as the release date of the band's ostensible final project neared, the thought of cutting the band short became unbearable. According to a July 2018 tweet from Healy, The 1975 will release another album, Notes On A Conditional Form, next year. 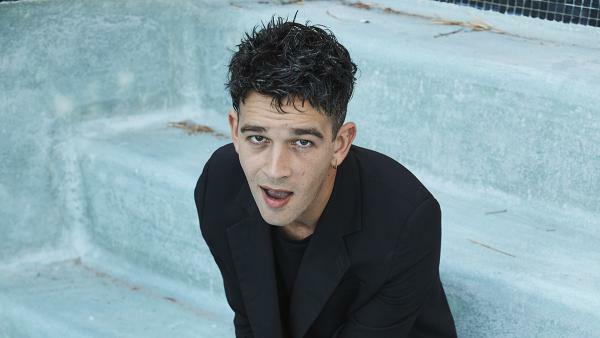 Healy joined NPR's David Greene to discuss his generation's reliance upon online relationships, giving up his "love affair" with drugs and changing his tune about on releasing three albums. Hear the radio version of their conversation at the audio link, and read on for more that didn't make the broadcast. David Greene: What would you say to a kid who's thinking of starting a rock band now, in 2018? Is it just too passé? Matty Healy: Well, I suppose we have to start from semantically defining what we mean by a "rock band," because this seems to be a question. But it seems to be that, I don't know, let's say the generation older than me [is] really concerned with the question of — if they're interested in The 1975 — whether we're a rock band or not. I don't think these things resonate very much any more. Now, there's been this singularity of young people where, especially with modern hip-hop music, geography is not an issue anymore — where you are from, or where you can go to, or where you can reach. It's decimated all ideas like genre. So I'd say: Do music, but I wouldn't think of it as a rock band, otherwise you'll be barking up the wrong tree, I reckon. I think I'm probably at the tail end of the generation that cares about those kind of things. Because the answer most kids have is, "I don't care." Obviously, you walk down the King's Road in the '80s and you have all these subcultures but all incredibly defined. Whereas now, it's a more homogenous set of circumstances. I like it because it decreases tribalism and opens up music. ... You can probably tell by my records that I don't have much of a filter or a qualification process for what, stylistically, my records can sound like. I think that's because I'm a product of this generation that isn't really interested in those ideas. You've said that rock bands, so to speak, have been around for too long — and that was a reason you planned to only release three albums. But now you're on your third and you're already talking about another one. Is something changing? Culture is changing rapidly. ... One of the reasons that I wanted to end it after the third album is it's coming at the end of a decade, and suppose I was just being a bit of a drama queen. [Laughs.] Every writer wants a great ending, right? I don't know why I enjoy it so much, but I just like the whole kind of poetic idea of an end. But it was not paying testament to the fact that making music is why I get up, and it's what I do all day ... so I was like, "Well, that's rubbish. And seeing as I've changed my idea on that, actually, let's just do loads of albums. Let's do two albums!" I very much am. And also, I'm in this kind of cyclical dialogue with my fans. You look at like the '70s, the messianic presence of the artist — it was very much about an audience gathering to watch this person happen on stage. Whereas after dance music, there's kind of been this equilibrium that's come between artist and audience. ... My favorite art, or whatever you want to call it, is art that makes you feel personally addressed. So it's been really important to us to feel like we're extending some community. It sounds like it's really important to you to keep that connection going with your fans. It has a big influence on the music as well, because I find out a lot of different things. I'm essentially sharing intellectual ideas with my fans, seeing their reaction and then being inspired by that. You're making music based on some of the interactions you have with fans? To a certain extent. ... The fact that I've kind of called this time, the umbrella period of releasing these two records, the "era of Music for Cars," which was what I was initially going to call the album — this whole "era" thing wasn't some pretentious thing that I came up with. It's just that I realized that's the language that our fan base uses now for what we would have called campaigns. The first album [was] incredibly black and white, and had this very concise visual paradigm. ... And the pink thing was invented by them — the pink of our second album. I just started to go onto fan blogs at 2 o'clock in the morning after Googling myself. [Laughs.] Well not quite as ridiculous as that. ... But the first album is all black and white. So all these black and white images were all over the place — and then when we stopped touring, and we stopped providing images, everybody did with the images what they would. And they started turning them pink; that seemed to be the main color in it. It just happened, and I thought, "Right, well, it's pink then, this album." Many of the songs on A Brief Inquiry Into Online Relationships have to do with relationship we have over the Internet. Clearly it's an important way for you to connect with fans. But [on this album], are you saying it can go too far, that people can start to rely too much on these relationships they have online? To be honest with you, I don't have many answers. I've got a bunch questions. I think that's what the record's like. It was the kind of profound and unprofound realization that I had when I realized that all communication outside of face-to-face is mediated through the Internet. And that's not even an interesting observation to have in 2018. That's not an interesting thing to talk about, but to think about saying to somebody 10 years ago, "By the way, in 10 years time every form of communication that you have will be on the Internet, that's how total experience will be for humans." We'd have definitely asked some questions about it, or we definitely kind of want to know a bit more about it, what it means, what will happen, why, how reliant we'll be on it and all these kind of things. But we didn't. We sit in 2018 and we don't really care about that idea, and it just really affected me because if you're writing about relationships and how they're mediated in the modern world, you are inherently writing a record about the Internet. And there's kind of a coldness to that. Your song "The Man Who Married A Robot" is this fantasy tale. It's narrated by this computerized voice. It's a man falling in love with a personified version of the Internet. What's eerie to me is that 10 years ago, that might have sounded so weird — and now it sounded almost normal, but in a disturbing way. With "The Man Who Married A Robot," the robot, the narrator, is Siri. Well, the English Siri; I've got an English phone, so my Siri's got an English accent. It's someone that we all know and love very well. We rely on her. I think the weird thing about that is that it's more about context: It doesn't really say anything particularly chilling or scary, but it seems to, because it's written from the perspective of a robot. When a robot reads information about the modern world, it can sound very dystopian in its explanation. It can sound like it's speaking of a world that maybe we're going get to — whereas it's mainly quite an accurate description of now. But I think that's the theme across a lot of the records. The thing that I like about it is that people are getting kind of wound up, or moved, or upset for themselves, because people get weirded out by that song, but I'm not actually doing anything that creepy. You say that your approach is not to have answers but to ask questions. In "Love It If We Made It," what are you generally asking in that very political song about our world today? I think I'm signposting. We're in this culture of just so much information that we don't have time to be offended by it, or upset about it. The Trump administration is a perfect example: If Trump had done half the bad things, or the, you know, the things that he's done, he'd be perceived as twice as bad. But because we don't have time to deal with everything as it is, we kind of let it slide. Then another thing happens. I feel that happens with lots of things. How long are we angry about these things? I wasn't trying to do anything political. I just wanted to do something that was really outward, because I'm quite inward as a songwriter. ... So every time I got really, really angry about something, I added another line. I'm saying, "This is a bit of a nightmare, and it is a crazy time, but it would just be amazing if we sort it out, wouldn't it?" What a naive sentiment to write a song about — but I think that's what artists are about. We're not diplomats. We're supposed to signpost towards Utopian ideas, I think. Your last two albums each had a song about not quitting drugs. This album is different. You've got a lot of songs here that talk about what happened after you quit heroin, like the single, "It's Not Living (If It's Not With You)." What are you saying [in this song]? I think a lot of it has to be contextualized as a feeling had as opposed to a philosophy upheld. That's how it feels when you giving up drugs, to be honest with you: It's a love affair. I didn't even have to re-contextualize it to put it in the context of a love song, because it is a love song. That's what most addictions are; that's what toxic relationships are. It's like, "Stop going over to his house if he's a nightmare." It's like, "Well, I can't stop myself, because there's something there that keeps taking me back." It's a very similar relationship with drugs, especially heavy drugs like heroin. It's also a good hook. That's right, yeah. I don't [write songs about addiction] so everyone goes, "Oh, look honest he is." It's because it's really genuine catharsis. It's just how I negotiate with the world, and the ability to wake up every day and to use music to make me feel better and give me a purpose and stuff like that. That whole "a love song that's actually about something else" happens all the time on the record. I mean, "I Couldn't Be More In Love" — that is our most torch song by the sounds of it, and that song's not about love at all. It's about me being terrified of what happens when people stop caring. I know that may sound like a weak thing, but I don't think artists admit it enough. Very lucky, I was. Most people who end up going into rehab and stuff like that, it's a place where they start to rebuild all of the stuff they lost. I hadn't lost that much. I just disappointed myself. You'd think that starting a drug addiction is when that would happen, but you can't be a drug addict that isn't doing it with other people and not be a liar. I hate liars. I got to a point where I wouldn't accept any of my behavior from anybody else. And I managed to just beat the guys to sending me to rehab, before I sent myself. So I went and sought it out. And listen, this is me talking like, "So, I had willpower and then I beat an opiate addiction." It's not as simple as that for most people, and the one thing that I always say is that it took [being] where I was — you know, all the things that you would worry about financially, emotionally, have a girlfriend that loves me and I love, have best friends that I haven't lost that still look after me, being in one of the most popular bands in the world at the time, and on the verge of making my third album, and headlining festivals and all of these things in front of me. It took me all of that to stop doing that one drug, and it's kind of a testament to its power. So I have real sympathy and empathy for anybody who hasn't been able to essentially think their way out of it and focus on other things. It's incredibly difficult. It's not a trust issue; it's the boy who cried wolf. I know that I've lied about using a certain amount of times, right? So it's gotten so that I have to take the burden off other people. It's like, for example, say I'm out of rehab. Everything's great. Everything's really, really positive. And the dynamic of the band is that I'm one of the creative leaders. The guys don't want to say to me, "Matty, I know that you feel really good, and, you know, I don't want to annoy you or whatever, but it'd be really good for me, just for my sense of self, if you did a drug test." I don't need that. It's my responsibility to not make somebody do that. They love me so much, and they don't want to be that guy and it's my fault. It's mainly just so you don't have to talk about it. Your song "Surrounded By Heads And Bodies" is about a woman you call Angela. Who's Angela? Angela's a lot of people. But Angela's really in the rehab that I was in. Not all rehabs are group-based ... I was in a place on my own, completely on my own, which was weird. I mean, I had my nurses, and I had my doctors and stuff like that, but it's kind of just me. A lot of my therapy is with horses. I did a lot equine therapy, which at first — an Englishman trying to talk to a horse was just me rolling my eyes in a field for three days, but it eventually became amazing. And there was this one other woman, who was in the facility, that I never saw. We met on occasions. It's so funny how seeing somebody in a facility like that, for somebody who's depressed ... I mean, my mom dealt with clinical depression all her life, and it's been something that has been a big presence in my life. I think the line in that [song] is, "Angela, she wears it like a dress," because there's this real physical wearing of depression that really goes through me when I see it. I just know and I remember. And I just spent time with this woman at rehab, and we helped each other out. It was strange. I don't know how to talk about that situation that well, because it was very personal. I think that when you're away from everything, you really connect with individuals on a deeply human level because there was nothing: It was just us and a couple of horses. It was really beautiful. You're going to go on tour to support this new album. Are you still going to play the old songs on tour about not wanting to quit drugs, or has this changed? Yeah. [Laughs.] Yeah, of course. ... I think when I get to a show, I could stand on stage and I could have every single song, and every single line, hit me like a lead balloon and get emotional about it. But I wouldn't be able to do it. It's my job to give other people a release at a show. My release is from seeing people closing their eyes, and putting their head back, and not having to deal with the nonsense that they've been dealing with for however long and just be in that moment. I want it to sound and feel and be perfect for them. That's what's important to me at that moment. You know what, man, it's just about being true. I think that being bold and being true, those are the two things that happen when we try and avoid being bored. So as long as we stay with each other, avoid being bored of our own music and put as much love into the world as we seem to get back, then we should be all right. Matty Healy is the frontman in The 1975. Now, despite their name, they are one of the biggest rock bands of this decade. When Healy announced that they were going to break up after just three albums, his fans gasped. 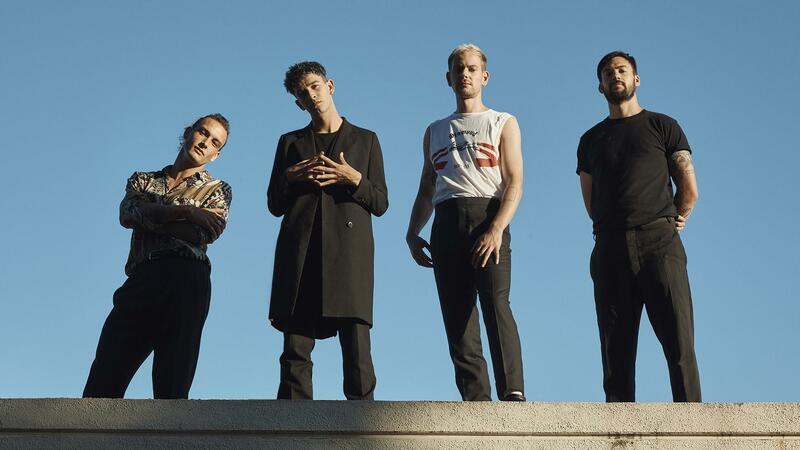 They are releasing their third album tomorrow, but Healy is now saying that he has no plans to call it quits. MATTY HEALY: One of the reasons that I wanted to end it after the third album is it's coming at the end of a decade, and I suppose I was just being a bit of a drama queen, I suppose. HEALY: Every writer wants a great ending, right? GREENE: That ending could have come a lot sooner for Matty Healy. His embrace of the rock 'n' roll lifestyle included a heroin habit, one that forced him into rehab. He drew on that experience in some of the new songs on this album. Just consider the line, collapse my veins wearing beautiful shoes - on this deceptively lighthearted single "It's Not Living (If It's Not With You)." THE 1975: (Singing) And all I do is sit and think about you if I knew what you'd do. Collapse my veins wearing beautiful shoes. It's not living if it's not with you. HEALY: That's how it feels when you've given up drugs. It's like a - it's a love affair. Do you know what I mean? That's what most addictions are. Like, that's what toxic relationships are. It's like, stop going over to his house if he's a nightmare. It's like, well, I can't stop myself because there's something there that keeps taking me back. It's a very similar relationship with drugs, especially heavy drugs like heroin. It's also a good hook (laughter). THE 1975: (Singing) And all I do is sit and drink without you. If I choose, then I lose. HEALY: The words kind of just happened. And I was like, OK, right. Well, I like that, and I'm not going to get rid of it. And I'm also not going to lie, so here we go (laughter). GREENE: We should say this is - you were going through rehab and recovery last year as you were working on this album. HEALY: That's right. Yeah, yeah. GREENE: I mean, is there a low point you look back to during the heroin addiction when you thought that you were losing it all? HEALY: Very lucky, I was. Most people who end up going into rehab, it's a place where they start to rebuild all of the stuff they'd lost. I haven't lost that much. I just disappointed myself. I got to a point where I wouldn't accept any of my behavior from anybody else. And I managed to just beat the guys to sending me to rehab. HEALY: It's not a trust issue. No, it's not a trust issue - boy who cried wolf. I know that I've lied about using a certain amount of times - right? So I have to take the burden off other people. The dynamic of the band is that I'm one of the creative leaders. Do you know what I mean? The guys don't want to say to me - Matty, it would be really good just for my sense of self if, like, you know, you did a drug test. It's my responsibility to not make somebody do that. GREENE: Yeah. I wondered if we could play just a few seconds of your song "Surrounded By Heads And Bodies." GREENE: It's about a woman you call Angela. Let's listen to a little bit. THE 1975: (Singing) And don't sleep. It hurts to be awake. The things they make her take - Angela. HEALY: Angela - Angela's a lot of people. But Angela's really - in the rehab that I was in, I was in a place on my own - completely on my own, which was weird. I mean, I had my nurses, and I had my doctors and stuff like that. But it was kind of just me. And a lot of my therapy was with horses - did a lot of equine therapy, which at first, an Englishman trying to talk to a horse was just me rolling my eyes in a field. But it eventually became amazing. Yeah. There was this one woman who was in the facility that I never saw, and we met on occasions. And it's so funny how, like, seeing somebody in a facility like, somebody who's, like, depressed - I mean, my mom dealt with clinical depression. It's been something that has been a big presence in my life. And the line in that is - Angela, she wears it like a dress - because there's this real physical wearing of depression that really goes through me when I see it. THE 1975: (Singing) She wears it like a dress, a post-traumatic mess. HEALY: And I just spent time with this woman at rehab, and we helped each other out. And you know, it was just - it was strange. I don't know how to talk about that situation that well because it was very personal. I think that when you're away from everything, you really connect with individuals - you know? - on a deeply human level because there was nothing - there was no records or cultural ideas floating around. It was just us and a couple of horses. It was really beautiful. HEALY: Yeah, you can. We've got each other's email and stuff like that. I think it's important that we kind of go off, though. And one of the difficult things is, like, it becomes a bit like holiday. You don't want to leave holiday, do you know what I mean? It feels strange when you get back. You have to get back into the routine of being you. I'd shaved my head. I wore, like, shorts - like, workout gear for six weeks straight. I didn't wear anything that I normally wear. I didn't do anything that was normal to me. GREENE: This is when you were in rehab. HEALY: This is when I was in rehab, yeah. And then - I remember, the day I left, I opened the wardrobe to put on the clothes that I came in. And it felt like a fancy dress costume. It was really strange. I got over that, though - got a lovely pair of cowboy boots when I got to the airport. GREENE: Just stepping back here - I mean, you have packed a whole lot of life into your 29 years. GREENE: Do you think about the future of The 1975 and how this group is going to age gracefully as the years move on? HEALY: You know what, man? It's just about being bold and being true. And those things are the two things that happen when we try and avoid being bored. So as long as we stay with each other, avoid being bored of our own music and put as much love into the world as we seem to get back, then we should be all right. GREENE: Matty Healy, I really enjoyed talking to you. Best of luck with this album. HEALY: It's always lovely to come on. Thank you so much. THE 1975: (Singing) You wet my eyes. But I don't mind it. GREENE: Matty Healy from the band The 1975 - their new album comes out tomorrow. It's called "A Brief Inquiry Into Online Relationships." Transcript provided by NPR, Copyright NPR.